Brass ablaze to lighten up the conquest of personal space by a former Hawk and electric warriors. Despite his well-known proclivity for free jazz, Nik Turner has too rarely found himself in a situation almost devoid of rock debris, but this band – one of a few riveting projects led by guitarist Dennis Rea – provided the HAWKWIND veteran with exactly the environment he needs to take off and let rip. Laid down during a single recording session, these seven pieces are intense and elegiac at the same time, resolving such a contradiction in subtle, yet unconsciously shocking, electric vignettes which swirl amidst and under deceptively unhinged reeds. There’s a short recurring theme, slightly reminiscent of Ellington, that runs through the series of improvisations to anchor them, while Jack Gold-Molina’s cymbals and Paul Kemmish’s acoustic bass inform the proceedings with emotional delicacy. Opener “Mosquitos” may only be a preparation of the listener for the attack to follow, but this piece sets the tone for the whole record by slowly building tension and leaving gaps for steam to get through. So while “Organic Truth” taps into trad licks to lead them astray on a strange adventure and evoke a ghost of blues, “Tantalium” throws a space-rock tantrum into the mix. Adding to the mood swings, a flute-delivered gentle reverie blows “Liquid” out of wild rage and informs “Wild Flower” with Chinese fragility, and “Past Lives” wraps a nervous electronic buzz around its playfulness. 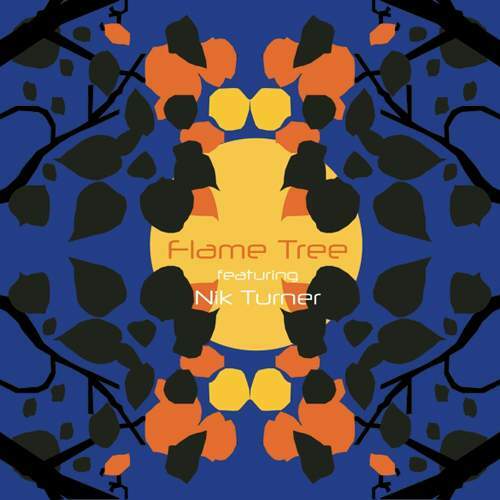 It’s not easy listening and it’s not so bold an experiment, yet the vigor of “Flame Tree” is transfixing and transcendental.